The last three weeks have been really busy. Dane and I moved from Seattle to our beloved Bellingham, the land of subdued excitement. My heart couldn’t be happier. Luckily, we have not accumulated much furniture in the last seven and half years since we have always lived with other people. However, now that we have moved into our own home, we needed everything. A bed, a couch, a dresser, a guest bed, bookshelves, a dinner table, etc. The only room that was more than complete was, can you take a big guess….the kitchen. The kitchen was also the first to be completely organized and ready to go. Now you know where my priorities lie. No matter how crazy and disorganized my life is, the kitchen must always be ready and set to go. Meanwhile, I have also started my clinical nutrition rotation at a large hospital in Everett. With two months left of my dietetic internship, I am feeling very ready to start my career in the nutrition field. My body, mind, and spirit are bursting at the seams to get going. After almost 5 years of education, a master’s degree in nutrition, and soon to come credential as a registered dietitian nutritionist, I am ready to step out and help others. Watch for my soon to come private practice! In addition, I was once again had to say goodbye to my beloved husband, yesterday. As a fisherman’s wife, the summer months are spent without my best friend at my side. After seven years, I should be used to this routine, and I am...somewhat. It is always a sad day when I wave him goodbye. However, it is also an opportunity for me to focus, create, and get started. When he returns, I hope to embrace him with a new credential and a new practice. So, to enlighten your Saturday morning, and bring some coziness to this rainy Pacific Northwest Spring day, I am going to share with you a new version of my morning glory muffin. 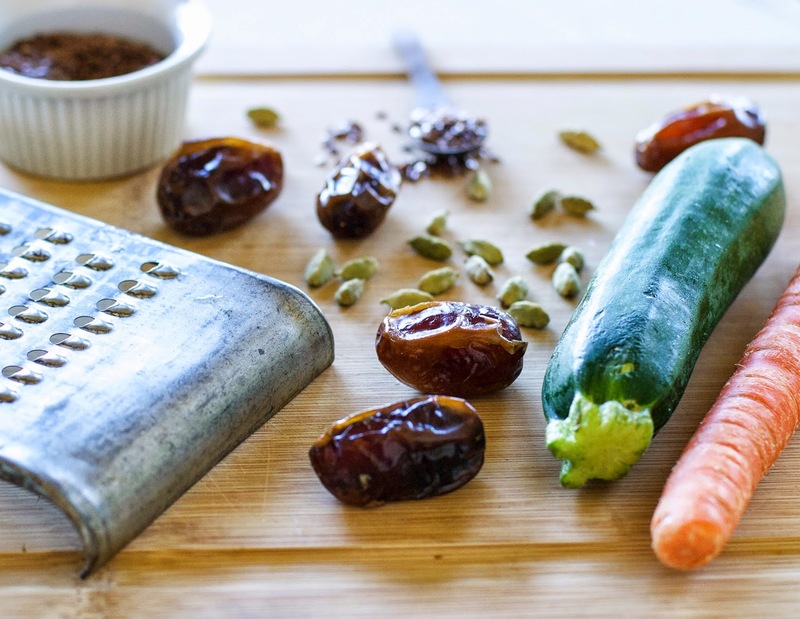 It is gluten-free, sweetened with dates and maple syrup, enriched with carrots and zucchini, and super easy to make. 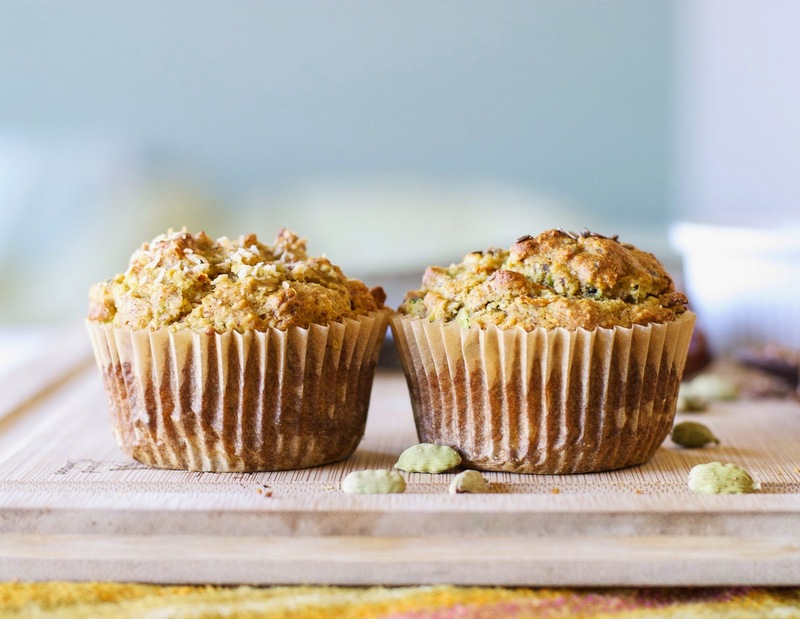 These muffins have been my go-to on those early weekday mornings when I have an hour commute to work. Rich in vitamins, especially vitamins A and E, minerals magnesium and calcium, and fiber, I know I am getting a nourishing start to my day. Paired with a hard-boiled egg or a container of organic plain yogurt, I am a happy camper. I especially like to cut the muffin in half, toast it, and spread a little butter on top. Whether you eat them as part of a breakfast, as a snack, or even as a healthy dessert, I am sure they will become a staple in your kitchen, as they have in mine. 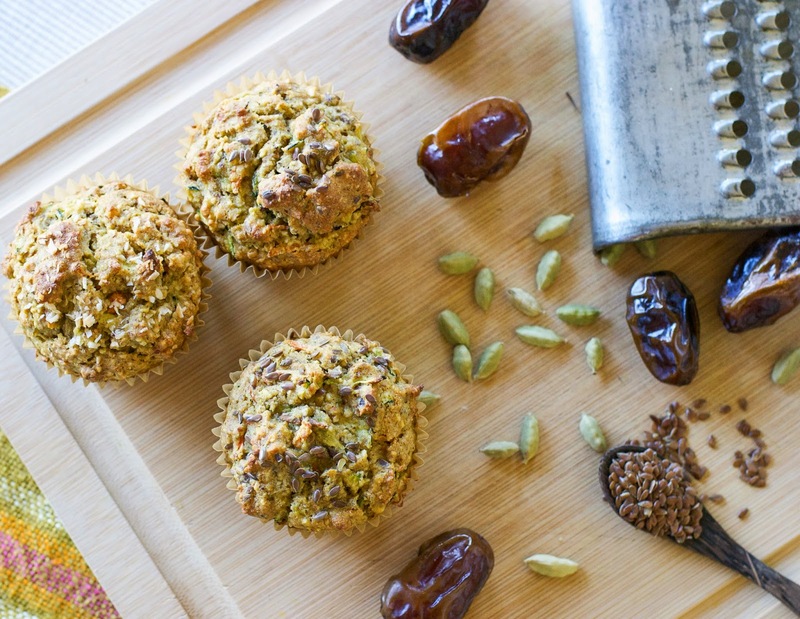 Too keep things short and sweet, I hope you start your morning with a nourishing breakfast, and perhaps a muffin too. Happy Saturday! Preheat oven to 375 degrees. Put the pitted medjool dates in a small bowl and cover with hot water. Set aside. They will need to soak until soft. Mix together the sorghum and almond flour, baking powder, cardamom, sea salt, and flax seeds in a large bowl. Set aside. Strain the dates when soft, and mash in a separate bowl (I use my hands to squeeze the dates into a paste). Mix the dates with the eggs, olive oil, and maple syrup with a whisk until combined. It doesn’t need to be completely smooth. Stir in the flaxseeds and grated zucchini and carrot. Mix the wet ingredients into the dry ingredients until combined. 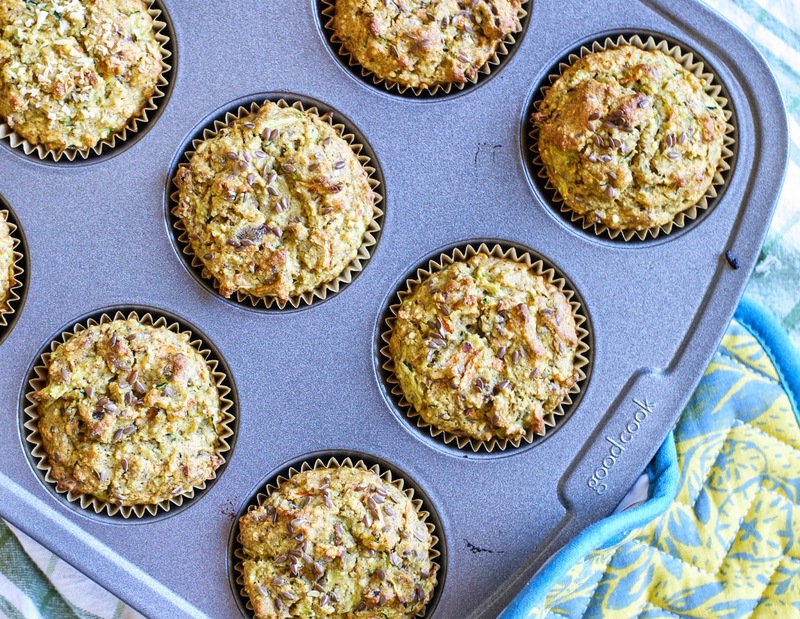 Line a regular sized muffin tin with liners and fill each evenly. Sprinkle additional flaxseeds or shredded coconut on top. Bake for about 25 minutes or until golden and a toothpick comes out clean. Allow to cool before storing in a large ziplock bag or food container.